The rules regarding what portion of a privately held business can be included as marital property are very complex and among the most misunderstood areas of family law. 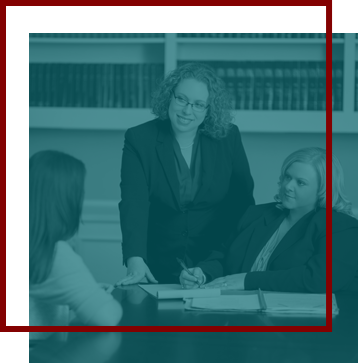 When property division in an Alabama divorce involves a privately held business, it is critical that you have an experienced lawyer who understands the law and can protect your interests. At The Rose Law Firm, LLC, we have represented numerous business owners and their spouses in a wide variety of these cases. No matter which side of the case you may be on, you can count on us to pursue every available option in an effort to secure a favorable outcome on your behalf. The first step in addressing the division of a business in a divorce is determining a fair value for the business. We work with an extensive network of experts who have experience valuing businesses of all sizes and across all industries. Once an accurate value has been determined, we can move forward with the property division. Under Alabama law, if a person owned a business prior to getting married, the amount that the business has increased in value during the marriage can be considered marital property. The spouse of a business owner is entitled to a share of that increase in value. If the business was established during the marriage, the entire value of the business can be considered marital property. In every case, we work diligently to see that our clients receive the best possible settlement available. Contact our office today to schedule an appointment with a business valuation attorney in Birmingham about your case. We offer a free, in-person consultation to all new clients. You can reach us by phone at 205-323-1124. You can reach someone 24/7 to schedule an appointment. You may also contact us via email.